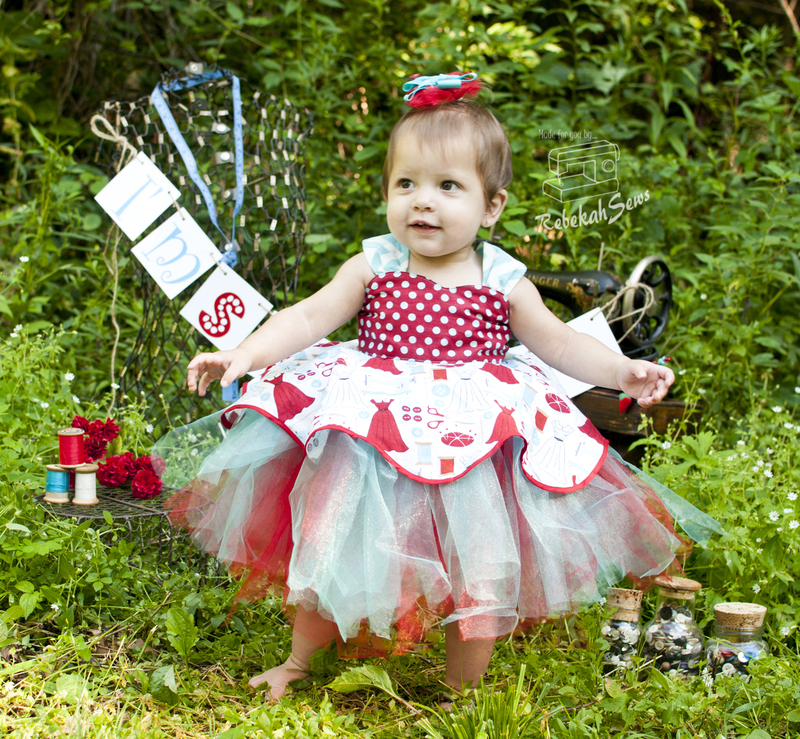 ← 11months and being a Diva with Whimsy Couture! 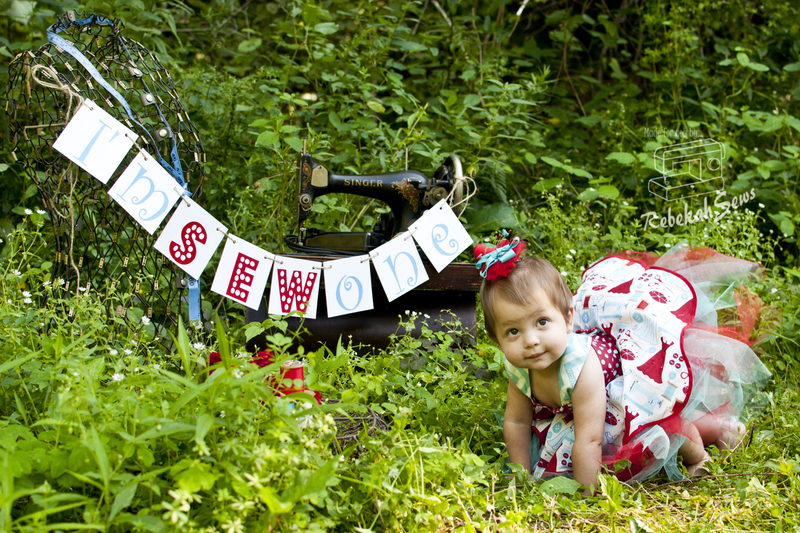 She’s SEW One!!!! Well technically not until 9:16pm but who’s counting? Honestly this year has just flown by. I am trying to prepare myself for time just going faster. It’s inevitable so I hear. But for today, let’s get back to the subject at hand…Ruth! We have several people celebrating with us today too! 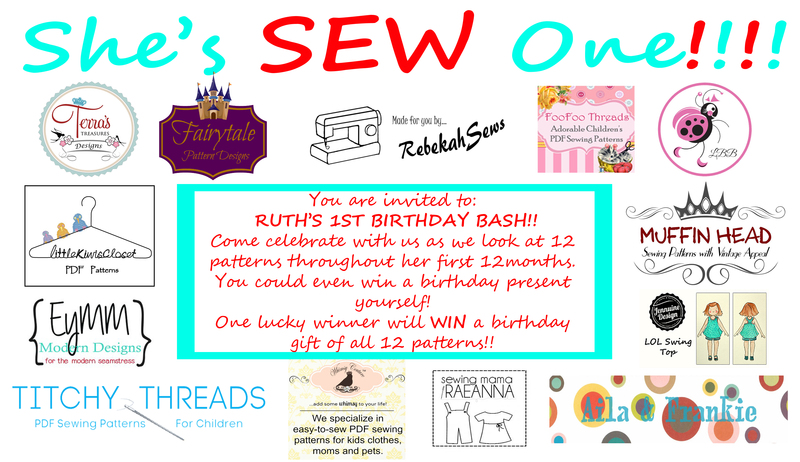 I can’t wait to introduce you to a couple others that helped celebrate Ruth’s day. Are you dying to know who everyone is yet? Ok ok, let me tell you. We have Elizabeth from Fairytale Designs, Kelly from Green Jazz Face, and Kelly from Kelly’s Sweet Rewards! 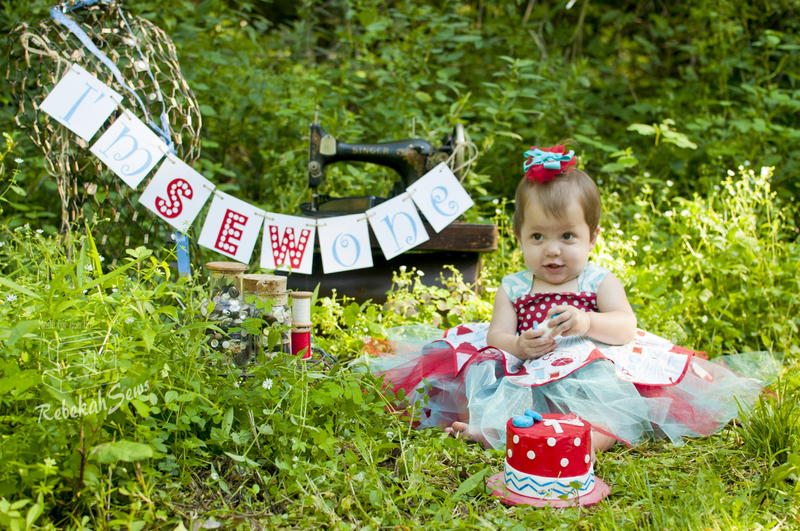 Before we talk the technical stuff I want to wish my baby girl a very happy first birthday! I can’t imagine my life without you. You were an unexpected gift that I cherish everyday. You fill mine, your brothers, your Grammy’s and everyone in your life days with smiles, smiles that light up an entire room. You love to know how things work and you are one who loves to analyze with a quizzical brow prior to trying things out. Your ease with life flows like a river that will one day cut its own path, even in rock, and lead you to wherever your heart desires. I look forward to continuing to watch you grow into a lively girl, young lady, and one day an independent woman. Your journey is just beginning. It will have its ups and downs like any journey does, but I promise I will be there to love, support, help and encourage you every step of the way. I love you my dear daughter!! 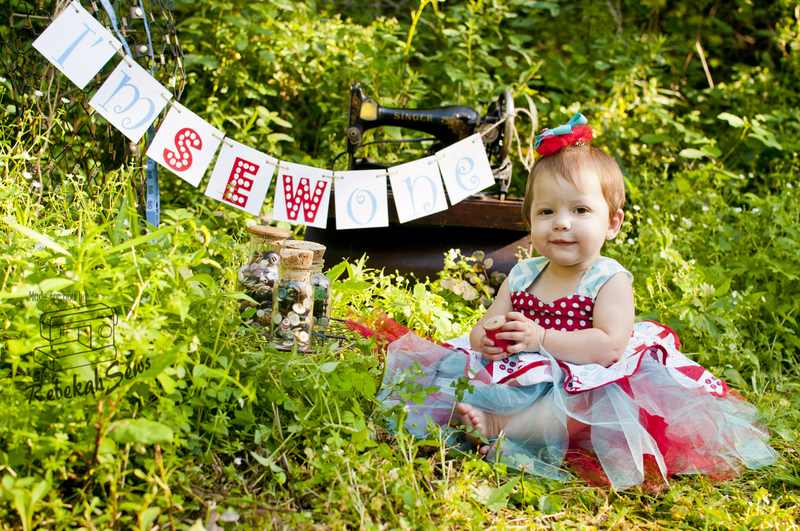 I couldn’t wait to do Ruth’s 1st birthday photoshoot. But first came the hard part…deciding what dress to make. I knew I wanted something fun yet princess like with a full bottom. I finally decided on the Arianna Dress by Fairytale Designs. When Elizabeth agreed to be a part of the giveaway too I was so excited to dive right in. 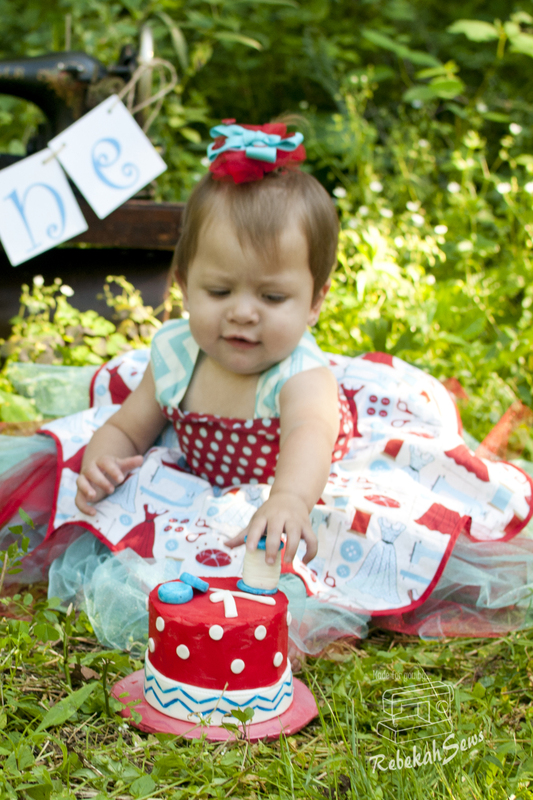 This dress comes in sizes 0-3mo- 8yrs and even includes the doll size. It features a sweetheart neckline, slightly gathers straps, a scalloped circle overskirt, and circle underskirt. 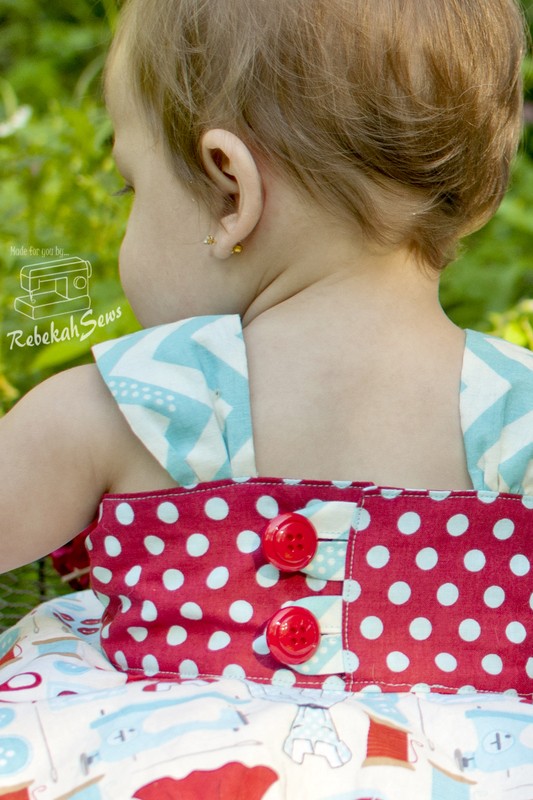 It buttons in the back but you don’t have to do any buttonholes on this one!! There are also four different hem finishes in the pattern. I choose the bias finish for mine. 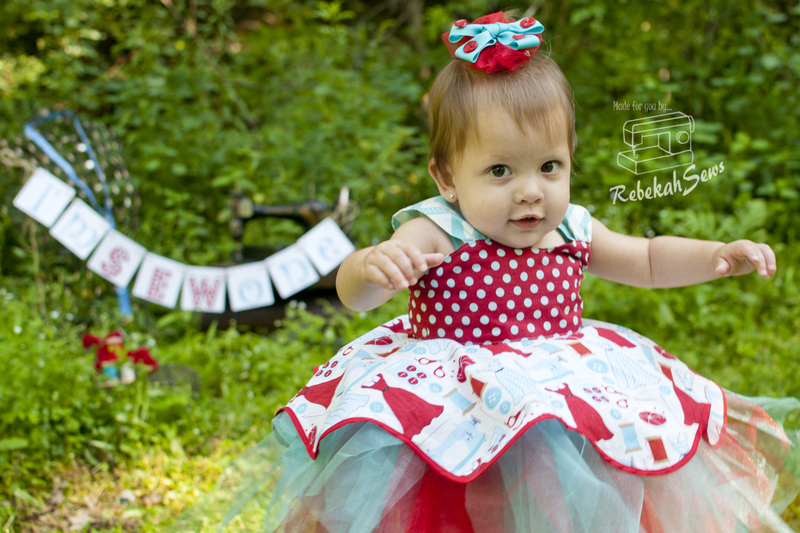 I just love the fact that this pattern has a circle skirt, especially the scalloped overskirt. Now for Ruth’s dress I left off the underskirt and instead put a no sew tutu underneath to give it a very full princess look. I just love it!!!! Did you notice that banner in the photos? 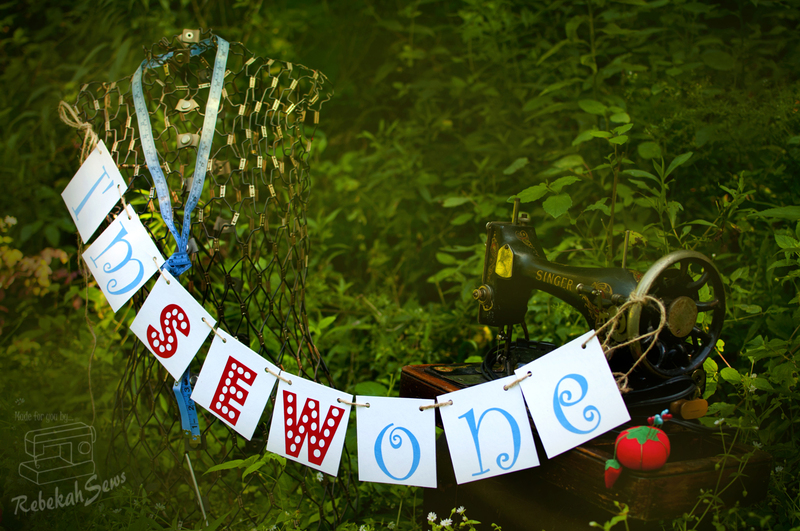 It was custom made by Kelly at Green Jazz Face (or Wedding Banner Love as she is renaming her shop). 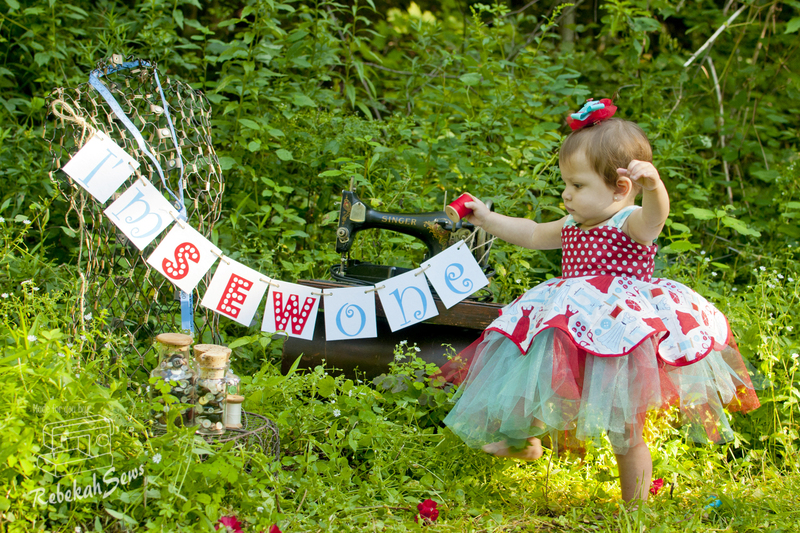 I found out about her shop a while back as a fellow photographer friend uses her banners all the time. I love how they added a special touch to the photos and knew one day I just had to get one for my photoshoots. This was the perfect occasion for one! 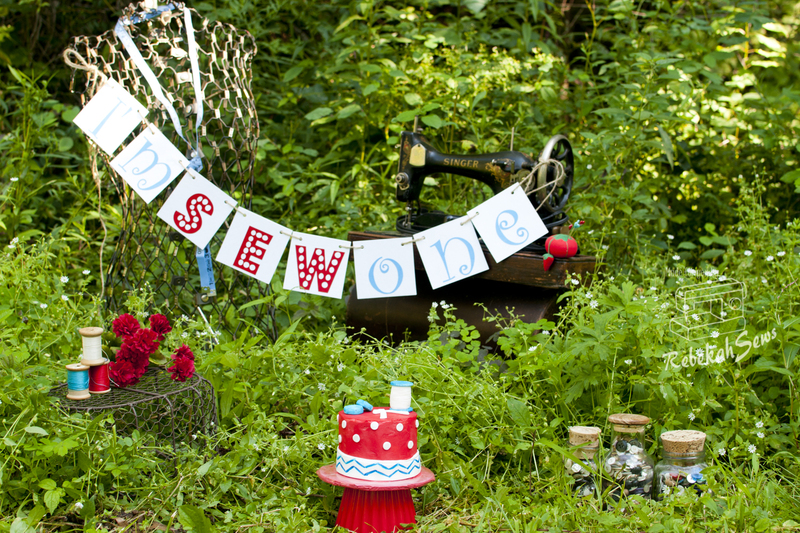 Really any occasion is as she makes them for any and all occasions. These are very durable banners as they are made with chipboard and then mod podged for security. Ruth was playing with it at the end of the photoshoot and even though she waved it around and walked on it, she didn’t hurt it one bit. 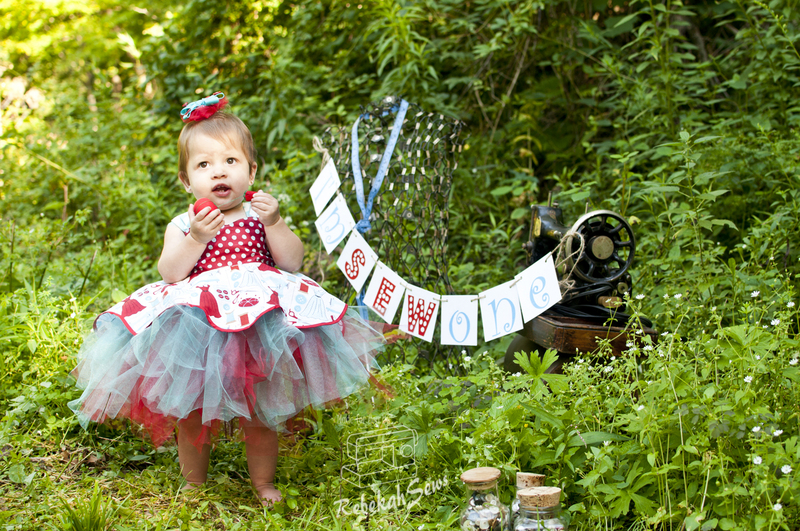 They really make a great addition to any photoshoot and are customizable! I foresee more in my future!! 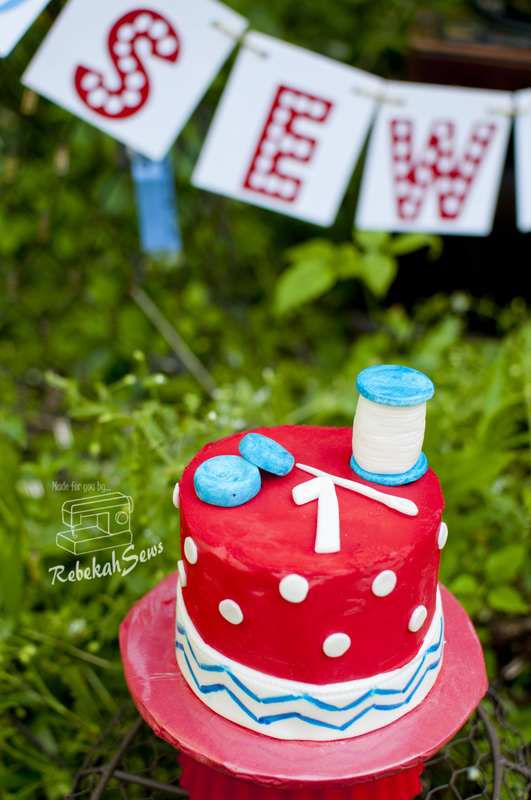 Want to know how to get your hands on pattern, banner, or cake? 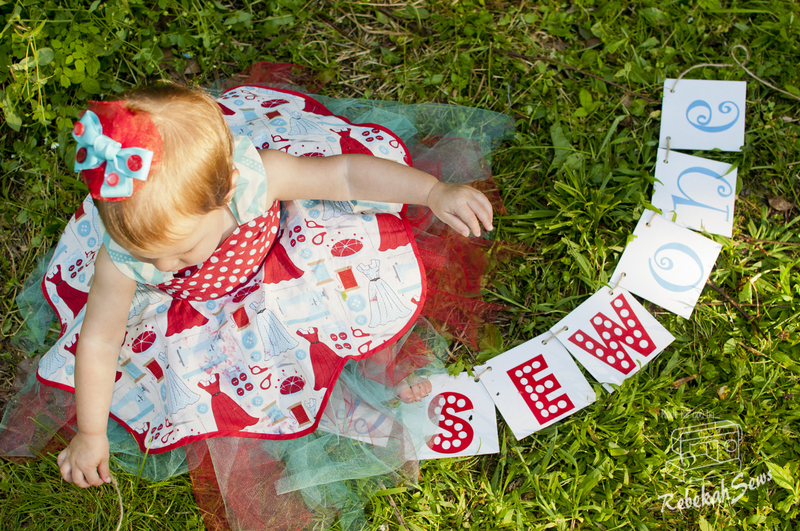 You can head over to Etsy to buy either the Arianna Dress pattern by Fairytale Designs or your own banner from Green Jazz Face. As for a sweet treat from Kelly’s Sweet Rewards, if you are ever in CT head on over to the Danbury area to get some of the best tasting cakes ever!!! 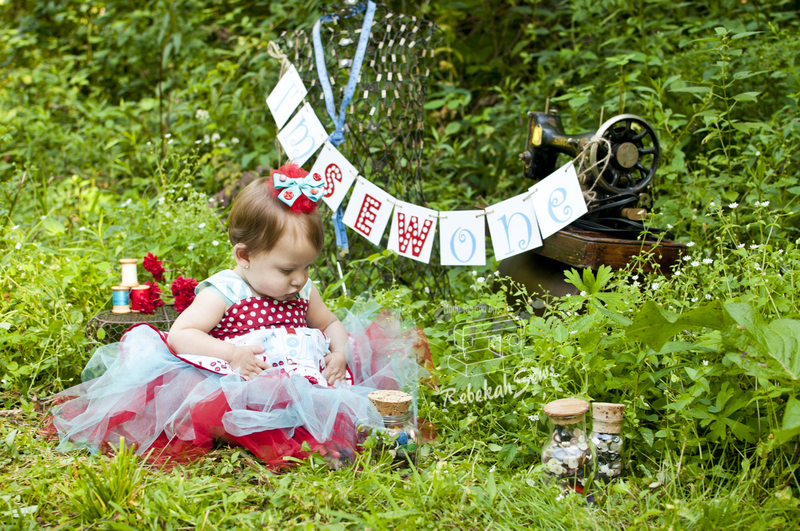 Thank you ladies for making Ruth’s first birthday photoshoot a great success which will give us lasting memories. Tomorrow will be the last day to enter to the giveaway for all 12 of the PDF patterns I featured in this series. Make sure you head on over to a Rafflecopter giveaway to enter to win. Tell your friends about it too!!! I don’t even have WORDS! You’re such an amazing and talented momma! She’s going to have the BEST MEMORIES! Congratulations!! 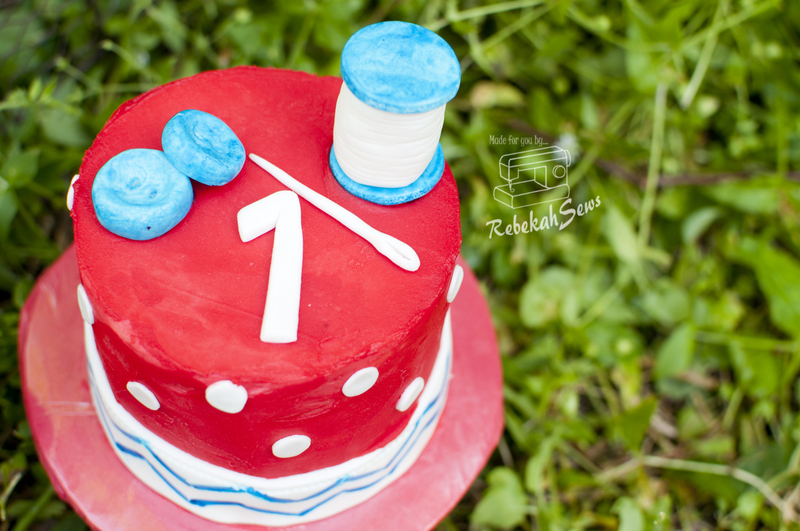 Happy 1st birthday !